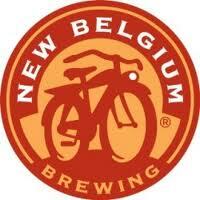 New Belgium Brewing Co. has revealed it is considering Philadelphia, Pa., Asheville, N.C., and two other cities for its new East Coast brewery and has announced two new beers in development. For the past year, New Belgium, known for such beers as Fat Tire and Sunshine Wheat, has been exploring locations for a second brewery to keep up with recent growth. New Belgium previously named Asheville, N.C., as an option, and on Monday, spokesman Bryan Simpson said Philadelphia is also on a short list of four potential locations.